On Saturday 8 November, two members of the ABAMobile’s team had the oportunity to participate at the recording of the BBVA’s advertasing spot for the camping “Yo Soy Empleo”. 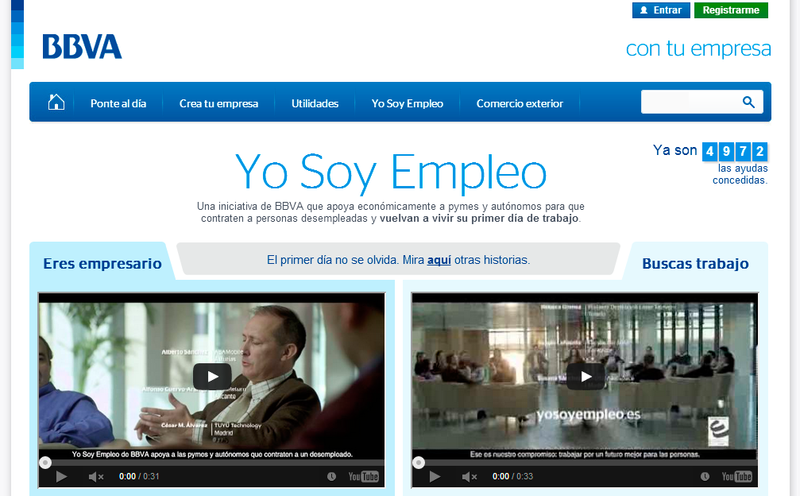 In the beginning, ABAMobile took part of the campign “Yo Soy Empleo” by means of the contracting of our mate “Jesús López” by BBVA. Besides the fact that BBVA provided us a help to contracting of new employments, BBVA also provided us whit a course oriented toward enterpreneurs which is teached by recognised business schools. In our case, we participated in the edition of “La Coruña” that was teached by Deusto. We are very thankful to BBVA for iniciatives as “Yo Soy Empleo”, which are welcome in times in which there are not a lot of points of support where we can grip (hold on) when we are starting a new proyect. In summary, it was fantastic to take part in the recording of a advertasing camping. We put at your disposal the next links where you will be able to watch the videos which we have recorded. https://abamobile.com/web/wp-content/uploads/2014/06/bbva1.png 624 1007 admin https://abamobile.com/web/wp-content/uploads/2014/05/logo.png admin2014-06-10 12:33:102014-11-20 14:06:46ABAMobile participate in the advertising campaign of BBVA "Yo Soy Empleo"